Kids don't need to know how to code to construct robots with Cubelets. The blocks have embedded magnets that let them snap together to form robots of any shape. Each block has a tiny computer inside it and can communicate with its neighboring block. "This makes Cubelets unique. It is a collection of lots of little blocks, each with its own brain," said Eric Schweikardt, CEO and founder of Modular Robotics. The blocks have different functionalities: They might be programmed to sense light and temperature, or have little motors to help them move around. 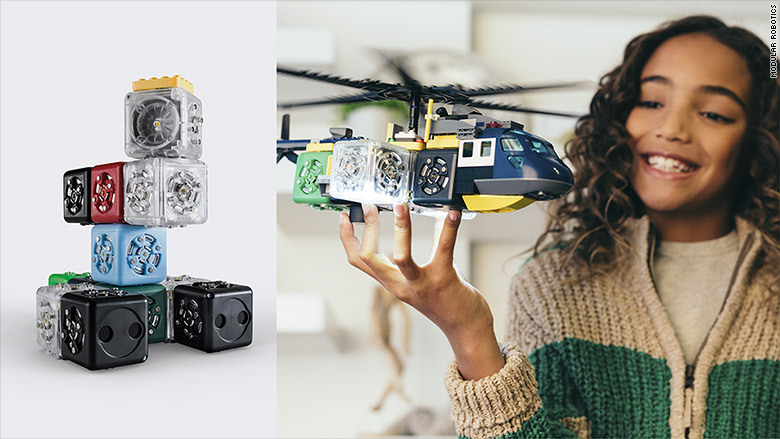 Cubelets (priced between $157 and $500) are already available in stores.